Teeth are a very important part of how we are perceived by others, how much confidence we have and how much we smile. Having poor dental appearance such as stained teeth, can cause a lot of embarrassment for some people and necessitate some drastic action to try and get their whiteness restored. Some people will find that no matter what precautions they take for ensuring their teeth do not get stained, they appear slightly yellow regardless. This is very common and normal and nothing to worry about. Very few people have naturally gleaming white teeth as most people with white teeth will have had some help along the way. The most common causes for stained teeth include red wine, coffee, tea, smoking and coloured fruit juices.It is also likely that those with stained teeth that do not ingest any of the mentioned products, do not brush their teeth as regularly as they should, especially before bed. The best way to remove stain from teeth is to see you dentist or oral hygienist. They will be able to assess whether the staining is permanent or whether a good clean and polish will suffice. They will also be able to advise you on the most suitable products that may help keep your teeth clean and white. If you feel you really do need professional whitening performed, speak to your dentist who may be able to recommend suitable cosmetic dentistry. Be warned though that bleaching can cause some temporary effects on dental health such as sensitivity and whitening of the gums around the teeth due to the agent used in the bleach. There are no long term effects for whitening the teeth and any method would need to be repeated after time. It can be tempting to try and use home remedies for cleaning the teeth especially for those who have heavily stained teeth and are bothered by it. 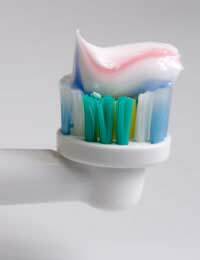 Never be tempted to try and clean the teeth with bleaches or other cleaning products as the chances of ingesting them or suffering a reaction are quite high. Some people with heavily stained teeth may be tempted to try and scrub them with an abrasive cleaner but this is not advised as long term damage to the teeth and gums may occur. Many people are aware of the cleaning and bleaching qualities of lemon juice, but again this is not recommended for cleaning the teeth with as it has a very high acid content which may erode the surface of your teeth. The best form of home remedy for taking care of your teeth is to try and prevent the stains by being careful with what you eat and drink. Also ensure that you brush your teeth regularly, change your toothbrush when required and visit the dentist regularly. There is a vast market for teeth stain removal products and manufacturers have been quick to label their products with slogans that entice people to buy expensive toothpastes with the hope of getting gleaming white teeth in a few days time. Really these toothpastes cannot whiten teeth to a gleaming standard at all. Although it is important to use good quality toothpaste to ensure that plaque and debris are removed and the teeth and gums are protected, the chances of removing the stains from teeth are not very high. It may be possible for a small amount of staining to be removed from the teeth but the deep stains are unlikely to be shifted with toothpaste alone. Some of the toothpastes aimed at stain removal and claim to whiten teeth actually work by making the gums brighter which has the effect of making your teeth appear whiter so in this instance they may be able to safely claim to ‘make teeth appear whiter’. Having stained teeth can be a source of great embarrassment for many people, but to have slightly discoloured teeth is perfectly normal.